The startup winning the Startup C-Cube challenge will be awarded resources for a local or global launch depending upon the scalability of the idea. The startup winning the event will be supported by the three companies through the entire “concept-to-customer” journey. 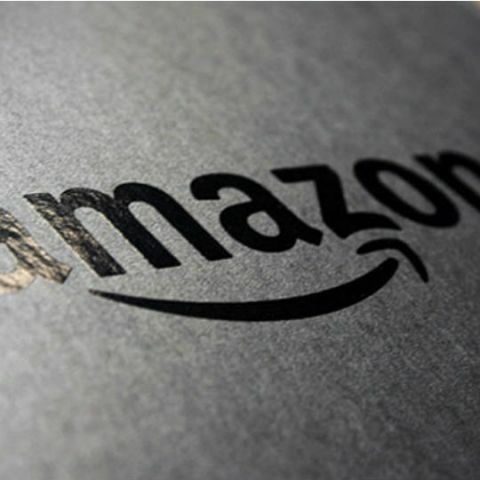 Amazon India has announced its partnership with HAX and Kickstarter and has declared a multi-level challenge for Indian start-ups called the Startup C-Cube. The challenge will be flagged off by Amazon Launchpad, HAX and Kickstarter jointly at an event in Bangalore on December 5th, on the occasion of Amazon Launchpad’s first anniversary in India. The startup winning the event will be supported by the three companies through the entire “concept-to-customer” journey and the startup will be provided with resources for launch both in India and in Europe/US, depending on the scalability of the idea. On the occasion of Amazon Launchpad’s first anniversary in India, Amazon.in announces its collaboration with the world’s biggest hardware accelerator, HAX and the largest crowdfunding community, Kickstarter to help create a conducive environment for early-stage product startups in the country. The three major enablers have come together in a global-first partnership to announce Startup C-Cube, a multi-level challenge for Indian start-ups that flags off in Bangalore on December 5th 2017. The Startup C-Cube challenge will be officially flagged off by Amazon Launchpad, HAX and Kickstarter jointly at an event in Bangalore on December 5th, on the occasion of Amazon Launchpad’s first anniversary in India. The winning start-up will be supported by the trio through the entire “concept-to-customer” journey and the joint program will also provide resources to the winner for launch - both in India and in Europe/US, depending on the scalability of the idea. The global first partnership with three of the biggest enablers -hardware accelerator (HAX), Funder (Kickstarter) and India’s largest ecommerce marketplace (Amazon.in) is expected to fuel thoughtful and innovative entrepreneurship in India. The partnership will help Indian startup communities connect with like minds, showcase their ideas and grow them into real business opportunities. The three companies are coming together to work towards building the product startup ecosystem of the country while additionally supporting the Government’s ‘Start-up India’ initiative. Started with the aim of facilitating the launch for Indian start-ups in various markets, and distribute their products to millions of Amazon customers across India and around the world, Amazon Launchpad today has over 17000 innovative products across various categories. In the past year wireless, electronics, grocery and beauty were noted to be among the major categories featured. While several start-ups in metro cities have benefitted from the platform, there have been a number of success stories from tier 2 & 3 towns like Zizira (Shillong), Vita cups (Indore), HySav (Pune). Techtex Online (Surat), Aarshaveda Wellness Pvt. Ltd. (Aluva), to name a few. Start-ups interested in joining Amazon Launchpad may come from any part of the country. They need to have a promising, unique and ready-to-ship product compliant with Amazon policies in order to get listed on the store. Launchpad products and Start-up Application Form that can be accessed on www.amazon.in/launchpad.